The ultimate honor for Vermont broadcasters, the VAB Hall of Fame honors those men and women who have demonstrated excellence throughout their careers, have enhanced the broadcasting industry and have contributed to the betterment of their communities. Scroll down for our Hall of Fame honorees and a list of past winners of our Broadcaster of the Year, Distinguished Service and Community Service Awards. Tony began his broadcasting career in 1950 at WMUR-AM in Manchester, NH. He served as WCAX-TV Sports Director from 1954 to 1989 and remains active on local radio and TV. His nightly sports segment became a Vermont institution. Tony’s honors include five media awards from the ECAC and selection by the National Sportswriters and Sportscasters Association as Vermont Sportscaster of the Year. Frank began his career at WWSR-AM, St. Albans, in 1948. After a stint at WDEV-AM, he went to work for WJOY­-AM in Burlington. In 1962, Frank put Vermont’s first FM station, WJOY-FM (now WOKO-FM), on the air. He eventually acquired majority ownership of both stations, which he sold in 1983. His distinguished career included service on the Board of the National Association of Broadcasters. Frank passed away in 2009. Bob started his radio career in Massachusetts in 1942. He came to WSKI-AM, Montpelier, in 1949. In 1956, he began working mornings as host of the “Wake Up” program, first on WSKI and later on WSNO-AM, Barre. He became a legendary favorite among radio listeners in Central Vermont. He continued to entertain his audience until his death in 2002. Ken Barlow began his broadcasting career at WCFR -AM in Springfield while still in high school. After college, Barlow worked as a full -time disc jockey and programmer at WKNE -AM in Keene, New Hampshire, WDOT-AM in Burlington, WKBR-AM in Manchester, New Hampshire and WPTR -AM in Albany, New York. He returned to Vermont and bought WVNR -AM in Poultney, the first of many station acquisitions. Later, as a partner in Vox Communications and the Vox Radio Group, he put two local stations on the air, WCVP-FM (Champ 101.3) and WXPS, now WXZO-FM. The group also obtained WEZF-FM (Star 92.9) and WEAV-AM . The group sold the stations to Capstar, which merged with Clear Channel, which eventually sold the stations back to the group. Barlow and his wife Lori also purchased WVTK -FM, licensed to Port Henry, NY with studios in Middlebury. Jack worked for Armed Forces Radio during World War II and began his commercial broadcasting career at WJOY-AM, Burlington, in 1948. During his long career, Jack hosted popular talk shows on WJOY, WDOT, WKDR and WVMT. He also hosted many programs on Vermont ETV (now Vermont PBS). He was elected to the Vermont State Senate in 1994 and was reelected in 1996. He passed away in 1997. A native of Watertown, New York, Tom Beardsley, a.k.a. “Beards,” began his radio career in 1969 at WIRD-AM in Lake Placid. He also worked at WIKE-AM in Newport, WHWB-AM in Rutland and for WPTZ-TV. He worked for WDEV and its sister stations for a combined 30 years. He also worked for Rep. Peter Smith, the New England Dairy Council and was part owner of a small radio group in Maine for four years. Bird Berdan’s voice was heard in Northern New York and Vermont for more than half a century, first on WIRY-AM and then on WPTZ-TV, Plattsburgh, NY. In 1951, Bird became the first employee of WPTZ-TV, where he served as the station’s weather caster and the host of many local programs. In retirement Bird stayed busy with commercial work and many community activities until his death in 2004. Mark Brady was an owner/operator and broadcaster in Middlebury, Vermont in the 1970-90’s at WFAD-AM and WCVM-FM. He served on the VAB Board and served as president of the organization. Despite running a small-town duo, Mark provided the training ground for many who would make their mark in radio. Says Gov. James Douglas – who worked at WFAD after graduating Middlebury College: “Mark’s commitment to news and excellence was reflected in the fact that many of the people he hired went on to careers in the news business.” Chris Graff, longtime AP Bureau Chief in VT, started his professional career at WFAD: “I know, first hand, the impact that Mark had on many Vermonters who worked for and with him.” Joel Najman (VAB Hall of Fame), Eric Michaels (VAB Hall of Fame) and Frank Sesno (AP/CNN) all benefited from the training and support of Mark Brady. Brooks’ interest in radio started in third grade (1959) when he joined a Ham radio club. 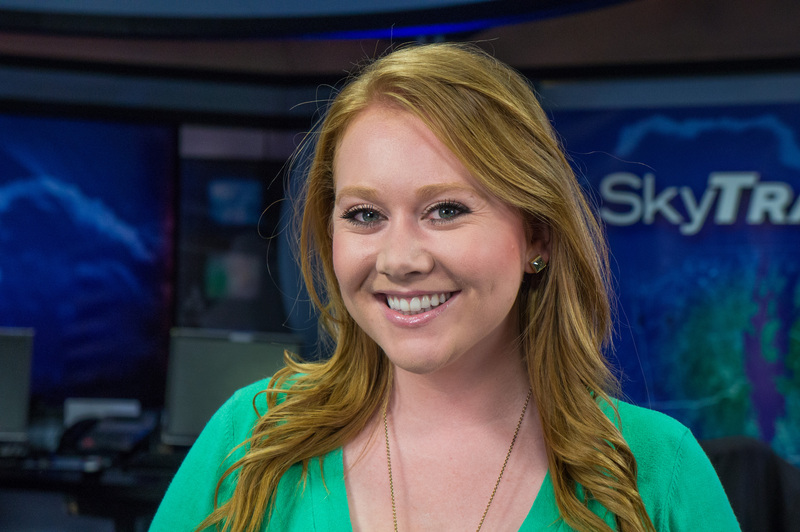 Brooks majored in journalism at the University of Oklahoma and worked for newspapers, radio and television stations in Oklahoma, Texas and New York in programming, engineering and sales. He became president of Northshire Communications, Inc. in 1976 and served as General Manager of WEQX-FM, Manchester until his untimely death in 2013 at the age of 66. George began his broadcasting career as a sportscaster at WHWB­-AM, Rutland, in 1953. In Burlington, George worked at WDOT-AM and then was manager and part-owner of WVMT-AM from 1970 to 1987. He also played an active role in management of WSYB-AM and WRUT-FM (now WZRT-FM) in Rutland. George passed away in 2013 at the age of 90. Val’s radio career began in 1937 in Ithaca, NY. He joined WJOY-AM when it went on the air in 1946 and he put WDOT-AM, Burlington, on the air in 1954. Val was always one of the most popular radio performers in the Burlington area. During his nearly 50 years on the radio, Val also worked at WEAV-AM in Plattsburgh, NY and WSYR-AM in Syracuse, NY. He also co-owned a radio station in Florida with CBS news anchor Walter Cronkite. Val left us in 1975. 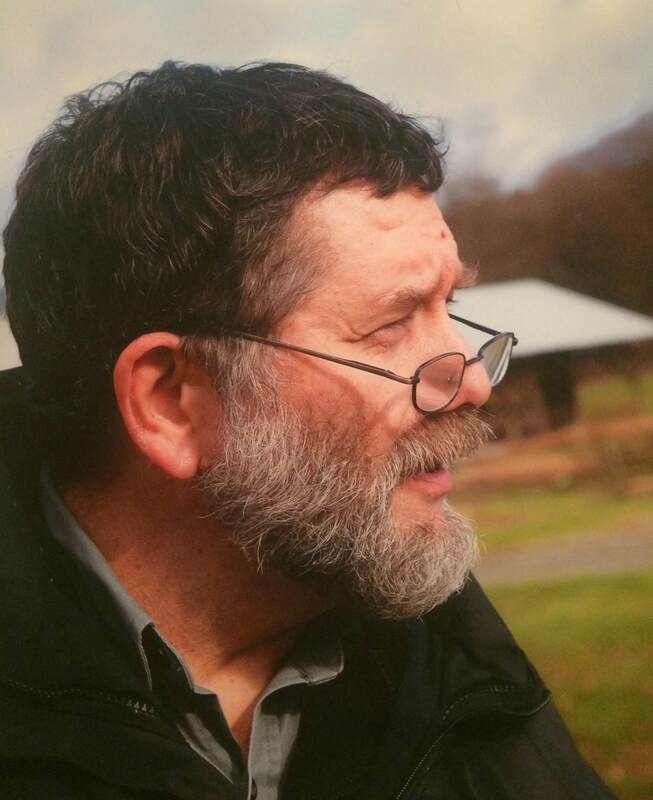 Tom Cheek, who passed away in 2005 at the age of 66, was a disc jockey, sportscaster and salesman at many Champlain Valley radio stations, including WEAV, WDOT, WJOY and WVMT. While at WVMT, he occasionally handled play-by-play duties for the Montreal Expos, experience that led him to be named the full-time play-by­-play announcer for the expansion Toronto Blue Jays in 1977. Cheek went on to call an incredible 4,306 consecutive regular season games for the Blue Jays over a span of 27 years. In 2012, Cheek was also posthumously awarded the Ford C. Frick Award, the highest award given to broadcasters by the Baseball Hall of Fame in Cooperstown , NY. George Commo is a nine-time winner of the Vermont Sportscaster of the Year award and is also a member of the Vermont Press Association Hall of Fame. George has been a radio and TV sportscaster since the early 1970’s and was the longtime voice of UVM Hockey and Vermont minor league baseball. Since 1998, he has been covering Norwich University Hockey for WDEV. Among his fans and peers, George is considered one of the greatest hockey play-by-play sportscasters to ever climb behind a microphone. 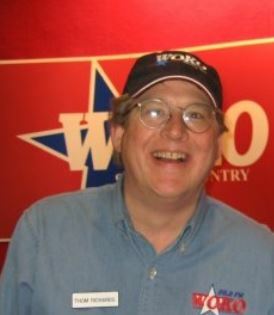 Jim began his radio career in the New London, Connecticut area but came to Burlington as News Director for Hall Communications’ WJOY-AM and (then), WQCR-FM. That is where he met and later married Ginny McGehee. For many years Jim was paired with his friend Louie Manno, they went on together to WKDR and later the Radio Deli. Off the air, Jim served as president of the Vermont Associated Press Broadcasters Association and became just the second Executive Director of the Vermont Association of Broadcasters, a position he held for over a decade. He has been praised by many for his willingness to reach across the aisle and try to create consensus on controversial issues such as school funding and tax policy. The VAB will always remember Jim for his vibrant personality, his impromptu humor (and songs) at the annual conventions and his ability to expand the NCSA program to boast one of the highest percentage of station participation rates of any state in the USA. Although nicknamed “Silent Cal,” Vermont native Calvin Coolidge became the first U.S. President to recognize the power of broadcasting. As ”The Radio President,” Coolidge gave more than 40 radio speeches, launching a bond between politics and mass media that continues to this day. The 30th President also signed the 1927 Radio Act into law. Vin was a sales manager and part owner of WJOY-AM and WQCR-FM (now WOKO-FM) in Burlington for many years. His outgoing personality helped him win friends all over Vermont. A true friend of broadcasters, Vin worked on several committees and projects over the years for the VAB and is credited with helping the organization reach new levels of success. Jack Donovan has been entertaining Vermonters with his afternoon music program since 1972, when he was hired at WDEV by Rusty Parker. His was believed to be one of the longest­ running daily programs in the country. Prior to his arrival at WDEV, Jack worked at stations in Plymouth, Massachusetts and Hanover, NH. He also spent 4 years in the Navy. Although he’s now “retired” Jack still fills in at WDEV when needed. Mike began his career in broadcasting at WCCM-AM in Lawrence, MA. In 1966, he followed Al Noyes to WSNO-AM in Barre and was there nearly 50 years. 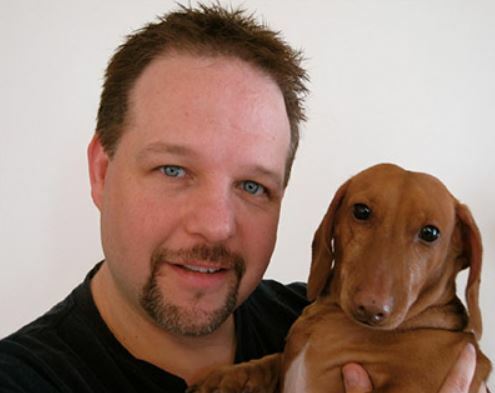 Mike has worked as Program Director, salesman and Sales Manager. He continues to sell for Vox AM/FM in Colchester. Dan Dubonnet began his radio career as a disc jockey in Connecticut and was named Program Director for Burlington’s WQCR-FM and WJOY-AM in 1985. 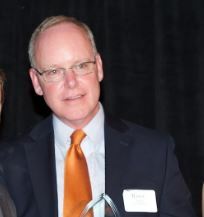 Hall Communications named him General Manager in 1989. Under his leadership, the group expanded to five stations, adding WKOL-FM, WBTZ-FM and WIZN-FM. Active in community events, his stations have raised hundreds of thousands of dollars for charity, notably Camp Ta-Kum-Ta and the Children’s Hospital at Fletcher Allen Health Care. Dubonnet also served multiple terms as VAB President. Ernie began his radio career in St. Albans and later moved to WVMT-AM in Colchester, where he has been entertaining listeners for more than five decades. Ernie has hosted many different programs through the years, including the midday “Happy Housewife Club,” the nighttime “Wired Woodshed, ” and the “Inside Groove” racing program. He currently co-hosts the “Charlie and Ernie” morning talk show with Charlie Papillo and continues to organize the annual Vermont Golden Gloves boxing tournament. Dean, a Connecticut native, was hired as one of the original staff members of WSKI-AM in Montpelier in 1947. A year later, he began building and managing his own radio stations including WTWN (now WSTJ) in St. Johnsbury, WIKE in Newport and WNIX (now WCFR) in Springfield. In 1954, he became the first VAB President. He sold his Vermont interests in 1979 and moved to Virginia. He returned to St Johnsbury in 2005. He passed away in 2015 at the age of 92. After a distinguished newspaper career, Mickey became News Director of WCAX-TV in 1964. He anchored the popular WCAX Evening News until his death in 1984. He set high standards for news coverage and accumulated many honors during his career, including the prestigious George F. Peabody Award. In Jamestown, NY, voicing commercials at his father Si Goldman’s radio station, Paul picked up the nickname “Si’s son.” After college, Paul arrived at WVMT-AM. Paul advanced from sales to management and later purchased WVMT-AM and WXXX-FM. In honor of his father, Paul named his company “Sison Broadcasting.” Paul has been in broadcasting for more than 40 years. Bill began his broadcasting career in 1946 at WKXL-AM, Concord, NH, while still in high school. He is best known in Vermont for his lengthy and distinguished service at WIKE­-AM, Newport, where he worked from 1952 to 1980. Upon retirement from radio, Bill became Marketing Director for Community National Bank in Derby. He is a former President of the VAB. Ken began his broadcasting career in 1950 at WTWN-AM in St. Johnsbury. He joined WCAX­-AM (now WVMT-AM) in 1955 and hosted the popular “Dance Date” program on WCAX-TV from 1955 to 1968. He served as Director of Promotions and Public Affairs at WCAX-TV from 1974 until his retirement in 1996. Ken is a former President of the VAB. He died in 2004. Stuart began his record-setting broadcast career in 1948 while attending college in Massachusetts. In 1954, he came to Vermont to become the weatherman at WCAX-TV. Stuart’s television career at WCAX lasted an incredible 35 years. Along the way, he became one of the best-known and best-liked television personalities in Vermont. He passed away 2011. Brian, a seventh-generation Vermonter, began his career in Vermont radio in 1954 at WWSR­-AM in St. Albans. 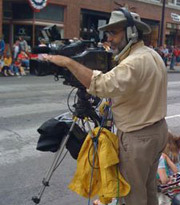 He has worked at WJOY-AM, WDEV-AM, WVNY-TV, WCAX-TV and, most recently at WCLX-FM in Stowe. He is the former owner of HMC Advertising and continues to actively support his community and his alma mater, the University of Vermont. Jack’s Vermont sportscasting career began in 1971 in Rutland at WHWB-AM and then for more than three decades at WSYB-AM, where he continues to broadcast. Statewide, Jack was well-known as the voice of University of Vermont Men’s Hockey and Basketball and Vermont Lake Monsters baseball. 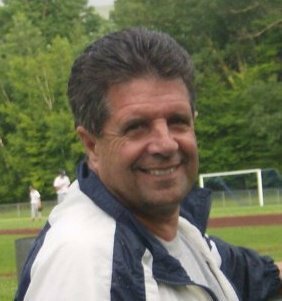 Besides on air duties at WSYB, he continues to be the voice of Rutland-area sports for the Northeast Sports Network. Bruce James began his broadcasting career at a low power station at Lyndon State College in the 1970’s. He later leased and, in 1990, purchased the station that is now WGMT-FM in Lyndon. Soon thereafter , James added St. Johnsbury stations WKXH-FM and WSTJ-AM to the holdings of Vermont Broadcast Associates. In 2008 , he put WJPK-FM (now WQJQ-FM) in Barton on the air and he purchased WMOO-FM in Derby and WIKE-AM in Newport in 2013. James also has a passion for baseball. He’s been a professional umpire since 1986. He also served more than 20 years on the Lyndon select board and is a former President of the VAB. In a career that spanned more than three decades, Ken worked his way from Account Executive to Vice President of Sales at WCAX-TV in Burlington. He retired from WCAX in 2001. An active advocate for local broadcasters in Vermont, Ken is a former President of the VAB, and was active for many years as Chairman of the VAB’s Legislative Committee. It’s not just his longevity that wins praise from admirers of Terry Jaye. It’s his total commitment to radio and to his community that has brought him many accolades over the years. Not only does he set a strong example through his long-running program on Catamount Radio’s WJJR, Terry has gone beyond the airwaves. In an industry that craves new talent, Terry has nurtured many young potential broadcasters with his work teaching at Castleton University. Though serving as “teacher” – friends say he still is a devoted “student” of the art of radio. When it comes to radio news reporting, Tim Johnson has been going above and beyond the call of duty for more than 40 years. The Vernon native began his broadcasting career in 1973 at WKVT in Brattleboro and moved across town to WTSA in 1997, where he co-hosted the morning show for nearly two decades.. His tireless work ethic and keen reporting skills are unmatched. Windham County residents have relied on Tim, a former VAB Distinguished Service Award winner to get the story first and to get the story right for more than four decades. Tim now serves as Vernon Town Clerk but still does occasional air shifts at WTSA. Ken Kasz began his broadcasting career while attending SUNY Fredonia. He worked as an intern and part-time master control operator at WUTV-TV in Buffalo, New York while getting his degree. 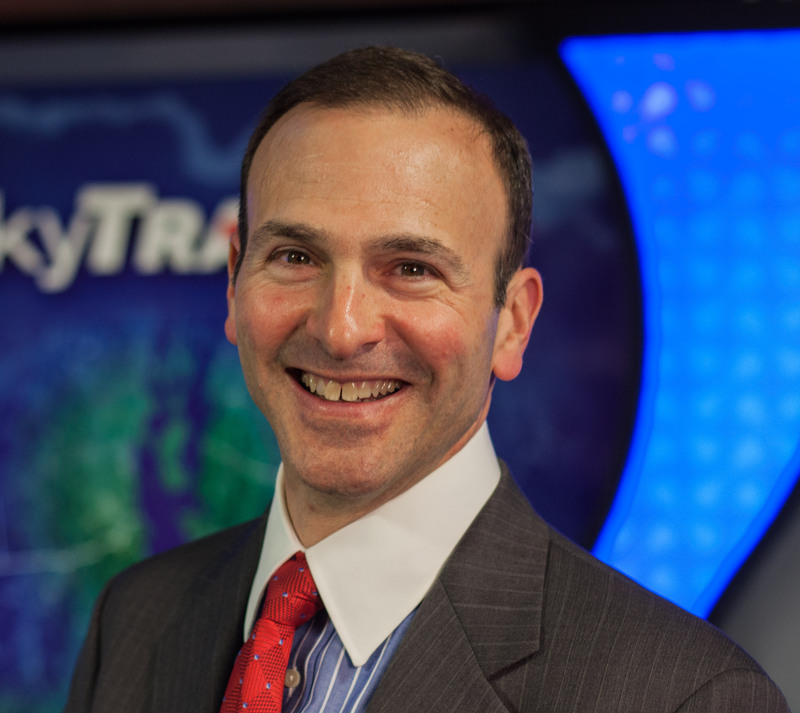 He then worked full-time for WUTV for a dozen years before joining WVNY-TV in Burlington as Director of Broadcast Operations. In that position, Ken oversaw all programming and operational aspects of the station. In 2005 Ken helped with their relocation of WVNY to the WFFF-TV studios in Colchester and later with the stations’ DTV transition. 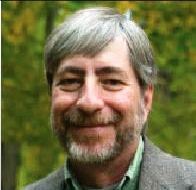 A ten-year veteran of the VAB Board of Directors, including two years as VAB President, Ken spearheaded efforts to increase subsidies to all Vermont radio and television stations to ensure FCC compliance through the Alternative Broadcast Inspection Program. He also helped all Vermont stations with financial assistance to successfully complete a mandatory upgrade of all Emergency Alert System receivers. All stations in Vermont have benefited greatly from Ken’s work behind the scenes at the VAB. Belva Chase Keyworth owned and operated radio stations WBTN-AM & WHGC-FM in Bennington for nearly 50 years. She also had ownership interests in stations in the Berkshires. Keyworth, who passed away in 2004, was an early and active member of the VAB and AWRT, American Women in Radio and Television. Bob began his radio career in 1947 in Massachusetts. He moved to Vermont in 1959 when he and a partner bought WWSR-AM in St. Albans. He then purchased WSNO-AM in Barre, built WLFE-FM in St. Albans and built WORK-FM in Barre. After retiring from radio station ownership, Bob founded New England Media, a successful broadcast brokerage and consulting firm. Bob passed away in 1999. Like his brother John, Dave Kimel is a third-generation Vermont broadcaster. Dave was only 15 years old when he sold his first advertising schedule, in 1965. Dave’s responsibilities grew along with the size of the Kimel Broadcast Group. At one point, the group included five Vermont radio stations and two New York stations. He retired from broadcasting in 1997. Dave is a former President of the VAB. John is a third-generation broadcaster from St. Albans. He was instrumental in leading his family­-owned company’s expansion into other cities and onto the FM band. As a programming innovator, John is credited with debuting Vermont ‘s first country music format as well as the state’s first FM rock format. He retired from broadcasting in 1997. John is a former President of the VAB. John King joined VPT in 1987 and has served as President and CEO from 1998 until 2014. He also served on the PBS Board of Directors and has served as Chairman of the Vermont Television Broadcasters Co­-location Association. He is credited with helping to form a strong bond between public and private broadcasting in Vermont. Russ, a native Vermonter, started his radio career at WRUV in 1971. Since then, he has worked in nearly every capacity at a number of radio and television stations in Vermont and New York. Most recently, he served as General Manager, Program Director and Morning Host on album rock station WZXP-FM. He currently operates a streaming radio station. Former WCAX-TV Adirondack Bureau Chief Jack LaDuke has been operating a camera and reporting the news for 65 years, including 30 years for WCAX. His far-flung career has taken him to many parts of the world, including Europe and Latin America. Jack and his wife, Marina, established the public broadcasting system in El Salvador. He has covered multiple Olympic games and, accompanied by one his rescue dogs, has reported on breaking news stories from every corner of the Adirondacks. Supposedly retired, Jack continues to contribute stories to Mountain Lake PBS. Candis Leopold has worked in radio sales in Vermont since 1981, starting at WNCS in Montpelier. She later worked for Vermont Broadcast Associates stations WKXH and WSTJ in the Northeast Kingdom before being named Sales Manager for Hall Communications stations WIZN and WBTZ in 2010. She served more than 12 years as a member of the VAB Board, including four straight years as President, the first woman to hold that position. She continues to serve as a Legislative Liaison for the VAB. Louie Manno, a.k.a. 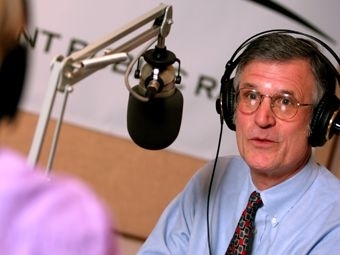 “Manno in the Morning,” helped usher in a new era of personality-driven local radio in Vermont when he was hired away from WTIC-FM in Hartford and began hosting the morning show on WQCR-FM (now WOKO­-FM) in 1985. Considered one of the most creative air personalities in the region, Manno later was a morning talk show host and co-owner of WKDR-AM in Burlington. He has won numerous awards and was an active volunteer for Toys for Kids of Vermont. Rex began his broadcasting career in 1937 in Boston. He bought WVTR-AM (later renamed WNHV) in White River Junction in 1966. In 1969, Rex put WNHV-FM (now WXLF-FM) on the air. He was a well-known emcee, announcer and anchorman. Nationally, Rex served as the television spokesman for Reynolds Aluminum for 25 years. He remained busy at his local stations until his death in 1983. Some of Rex’s commercials are featured on YouTube. Peter began his career at WCAX-TV as a reporter in 1969. In 1970 he was appointed Executive Assistant and Press Secretary to Governor Deane C. Davis. He returned to WCAX in 1973, where he served as General Manager and Executive Vice President until 2017. He was also a Lieutenant Colonel in the U.S. Army Reserve and served in Operation Desert Storm. 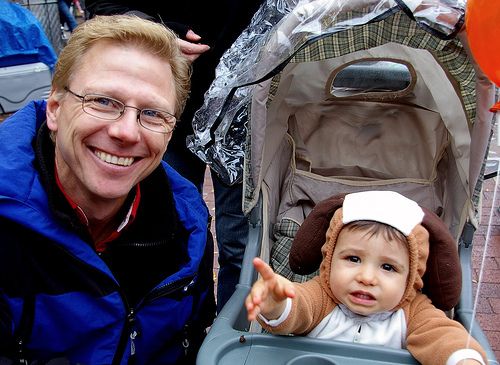 Stuart began his broadcasting career when his stepfather, C.P. Hasbrook, asked him to design, build and staff Vermont’s first television station, WCAX-TV. Among Red’s many achievements was service as Chairman of the CBS­ TV Network Affiliates Board. He was also a former President of the VAB and well-known for his many community activities. Stuart passed away in 2005. Frank’s distinguished broadcast career spanned 32 years at WHWB in Rutland. In 1958 he became General Manager and part owner. Frank established Rutland’s first FM station, WHWB-FM, in 1971 (now WJJR-FM). Frank took great pride in WHWB’s high principles of community service raising money and awareness for numerous local organizations. He retired from broadcasting in 1984 and remained active in politics and community events. Frank was a past president of the VAB in 1968. He died in 1994. Ginny McGehee is the longest serving full-time female radio personality in state history. A native of Philadelphia, Ginny began her broadcasting career at WNBZ-AM in Saranac Lake, New York in 1980, where she hosted a daily show and did local high school football and hockey play-by-play. In 1983, she moved to Burlington after being hired by Joel Najman at WJOY. Ginny has spent most of her time at WJOY. She and began broadcasting the daily “Breakfast Table” program in 1993. 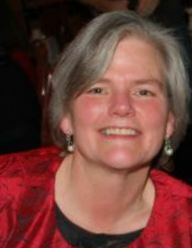 Ginny serves as Public Service Director for all five Hall Communication stations in Vermont. She is a longtime board member of the Vermont and New Hampshire Chapter of the American Red Cross and is a former board member of Champlain Valley Crimestoppers. Tom Messner joined WPTZ in 1990 and quickly became a local favorite thanks to his forecasting acumen and his ever-cheerful demeanor. A native of the Rochester, New York area, Tom received a degree in Business Economics from the College of Wooster in Ohio and then went on to study meteorology at the State University of New York at Oswego and Mississippi State. Tom is a member of both the National Weather Association and American Meteorological Society and was among the first meteorologists in the country to earn the title of Certified Broadcast Meteorologist from the AMS. Tom has earned honors from the Associated Press as well as loyal viewers, being named Best Meteorologist in the Seven Days Readers Choice Awards every year since they began. Tom’s local weather reports have been seen nationwide on The Today Show, Live with Regis & Kelly, The Weather Channel and MSNBC. He has spent hundreds of hours visiting local classrooms to talk about meteorology and to help spark interest in science. No matter the weather, Tom’s disposition is always sunny! 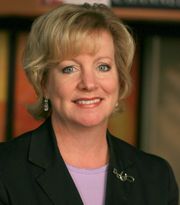 Sharon Meyer, a native of the Boston area, became the lead forecaster and director of the WCAX weather department in 1990, upon the retirement of VAB Hall of Fame member Stuart Hall. 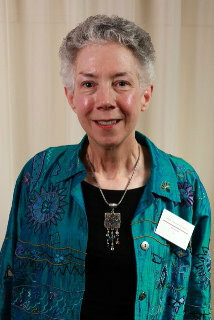 She has a BS from the University of Vermont, and has been a member of the American Meteorological Society since 1988. Sharon is known not only for her forecasting skills but also for sharing her love of Vermont’s natural beauty with her viewers. She frequently includes garden tips, foliage tours, nature notes and weather photos from viewers. She also finds time for her “pet” project: finding homes for animals from the local Humane Societies. Besides having a large audience in Vermont, Sharon is known all around New England as she is regularly featured on NESN Red Sox broadcasts. Eric began his broadcasting career at WVNY­ TV in 1971. He later moved to radio, working on the air and as a manager at WFAD-AM/WCVM-FM in Middlebury, WSYB-AM/WRUT-FM in Rutland and WVMT­ AM in Colchester. In 1987, he joined WDEV-AM and helped the Radio Vermont group to expand. The group’s holdings now include WDEV-FM in Warren, WCVT-FM in Stowe, WLVB-FM in Morrisville and WEXP-FM in Rutland, along with FM translators in Barre and Island Pond. Eric is a former multiple term President of the VAB. At WSTJ-AM in St. Johnsbury, Don was known as the “Voice of the Northeast Kingdom” for more than 50 years. He began his incredible local radio career while still in high school. He has equally enjoyed talking with the President of the United States as well as the man on the street. Don hosted the morning show for more than 50 years. He passed away at age 88 in 2016. Joel’s Vermont radio career began in 1962 at WRMC at Middlebury College. His great voice, interest in his audience and unparalleled knowledge of music brought him success at WFAD-AM in Middlebury, WJOY­ AM in Burlington, WDEV-AM/FM in Waterbury and at Vermont Public Radio. Joel continues to trace the history of contemporary music each week on the long­ running “My Place” program on VPR and is also frequently heard on WDEV. Al began his distinguished radio career in Massachusetts in 1948. He came to Vermont in 1960 as a partner and manager of WSNO-AM, Barre. His career included service as Chairman of the CBS Radio Affiliates Board. As the first Executive Director of the VAB, Al is credited with significantly raising the level of service the VAB provides to its member stations. The VAB’s top Community Service Award is named in his honor. Alan passed away in 2009. “Rusty” Parker was only 16 when he began to work part-time at WDEV-AM, Waterbury. Although very active as a community volunteer and town selectman, it was to WDEV that Rusty dedicated his life. In 1982,Rusty passed while reading a newscast on WDEV. Rusty was a former President of the VAB. Born in Rye, New York, Marselis Parsons was the son of a Foreign Service officer and traveled around the world. He graduated from Lafayette College in Easton,Pennsylvania. After radio and television stints in Pennsylvania and New Hampshire (including WRLH-TV In Lebanon,NH, the forerunner of WNNE-TV), Parsons joined WCAX-TV as a general assignment reporter in 1967. He became anchor of the evening news program in 1984 upon the sudden death of Mickey Gallagher. Respected for his ability to maintain high standards in the WCAX newsroom and admired for his skillful storytelling. 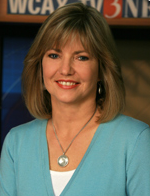 Marselis “semi-retired” in 2009 after a 43-year career at WCAX. He passed away in 2015. Tom began his career in 1964 at Williams College. 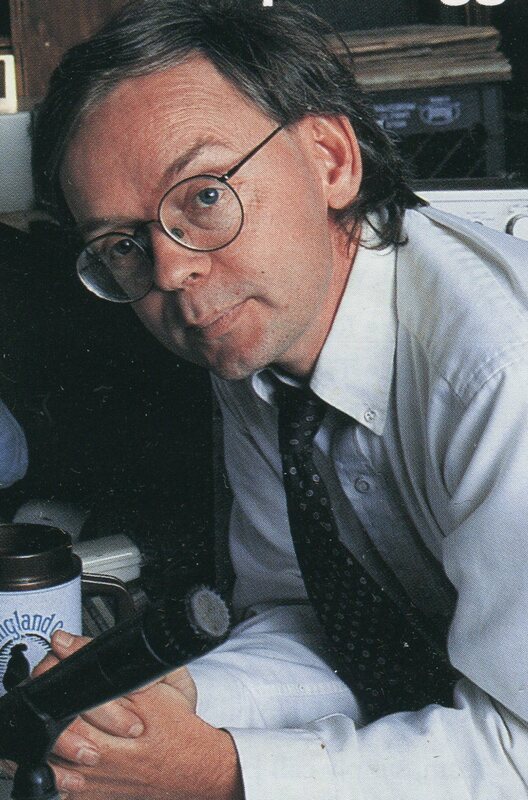 He worked at several major market stations during the 1970’s and returned to Vermont in 1980 to manage WEZF-FM and WEZF­-TV (now WVNY -TV) in Colchester. After retiring from management, Tom founded a marketing and consulting firm. Tom is a former President of the VAB. Andy Potter is a legend among news reporters in Vermont. He started his radio career while attending Middlebury College in the mid-1960’s. After serving in Vietnam, he returned to Vermont where he brought his reporting skills to a variety of radio stations, including WJOY, WOOT and WKDR, among others. He carved a second career on TV, where he was a longtime senior reporter for WCAX in Burlington. Gene began his broadcast career at the age of 40 when he took a job at WLTN-AM, Littleton, NH. He later hosted the morning show at WCVR-AM in Randolph,VT. In 1976, he built his own local station and spent the next 22 years doing the morning show at WYKR-AM (now WTWN-AM) in Wells River. Over the years, Gene has also broadcast hundreds of local sporting events. Dan began his broadcasting career in 1948 in Massachusetts. He moved to Vermont in 1958 to purchase WSKI­-AM, Montpelier. He provided stable leadership for the station, which had changed hands twice in two years. He continued to operate WSKI until 1989. Dan was a former Vermont State Senator and former President of the VAB. He passed away in 1998. Paul Sands was the President and General Manager of WPTZ-TV in Plattsburgh, NY and sister station WNNE-TV in White River Junction from 1998 until his retirement in 2012, after 38 years in the television business. During his tenure here, Sands assisted countless charity drives and helped form an alliance with the ECHO Lake and Science Center that became a national model for similar partnerships between media outlets and non-profit organizations. Local viewers also knew Paul for his hard-hitting editorials. Jeff has always been an entrepreneur! He and his brothers started a kite store on Nantucket Island when they were just in high school. Fast forward to being a freshman at Dartmouth. While setting-up his stereo, he had a chance conversation with the voice of Dartmouth hockey who asked, “Are you into radio?” Fast forward to today. The answer is self-evident. With radio stations in the Deerfield Valley, Connecticut River Valley, Central Vermont and the Champlain Valley, Jeff has created one of the largest groups in the region. And how did this happened over 35 years? Perhaps an interview with Jeff provides a clue. Jeff was quoted: “Success comes from the balance of determination and patience.” We salute him for achieving that success and maintaining his passion with his Great Eastern Radio Group. Montpelier native Dean Slack joined WCAX radio (now WVMT) in 1950 and went to WJOY in 1954, where he was considered the market’s top disc jockey in that era. WVMT hired him as sales manager and announcer in 1965. He covered the 1968 Winter Olympics in Grenoble for the station. He later became General Manager of WVNY-TV and WVNY radio (now WEZF), but moved out of state in 1974 after buying stations in New Hampshire and New York. A true community broadcaster, Dean did it all. From hosting sock hops and providing live coverage of hundreds of sporting events to calling the action when JFK came to Burlington the night before the 1960 presidential election, he was on the scene. He passed away in Corning, New York in 2014 at the age of 85. Ralph began his radio career at WHWB-AM in Rutland in 1963 as host of the afternoon drive program. In 1970, he joined WSYB-AM in Rutland as on-air personality. 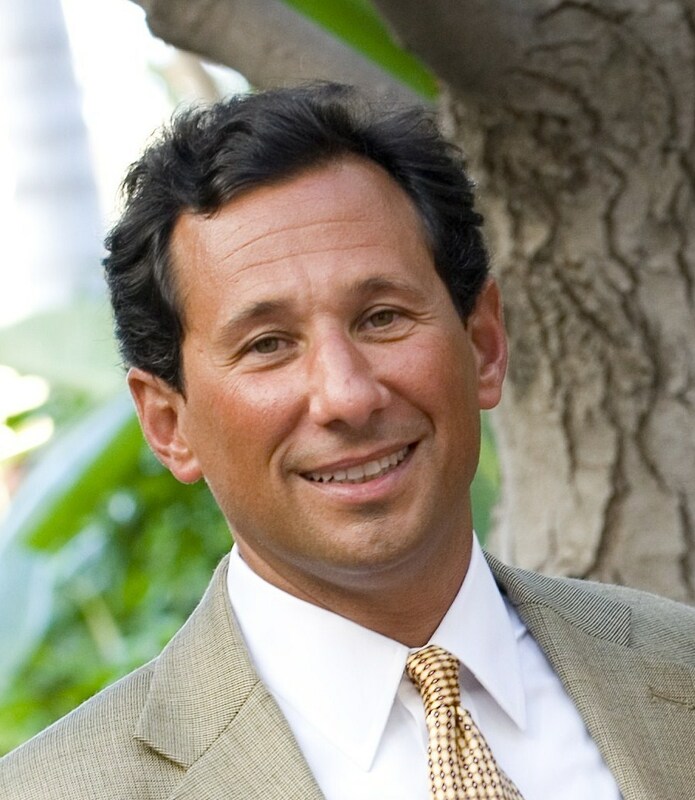 Over the years he served as Account Executive, Sales Manager and General Manager. He was also a founding member of the WSYB Christmas Fund. Dennis has enjoyed more than four decades in Vermont broadcasting, serving as Chief Engineer for WJOY-AM, WOKO-FM, WKOL FM, WIZN-FM and WBTZ-FM. In 1968,Dennis was the first to convert a Vermont FM station to stereo. He has served on several national engineering committees, including the NAB Engineering Advisory Committee. 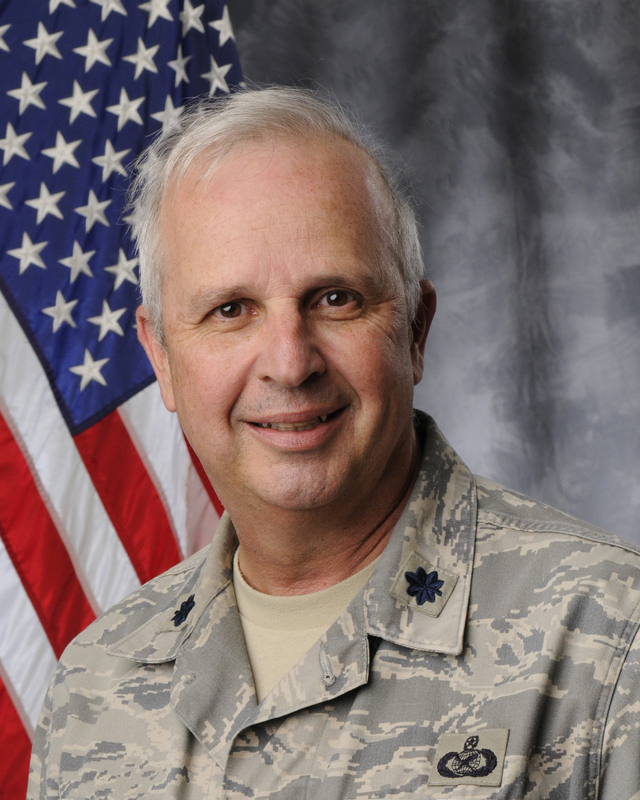 Dennis served as Treasurer for the VAB from 1981 until his retirement in 2014. Ken made his first appearance on WDEV-AM in Waterbury in 1936 at the age of one. He continues to entertain local listeners on the station his father helped build. Ken’s Radio Vermont group includes WDEV-AM & FM, WLVB-FM, WCVT-FM and WEXP-FM. Known nationally for his TV sportscasting, Ken is a member of the NASCAR Hall of Fame. “The Old Squier” began his broadcasting career at WDEV-AM in 1931 when he helped build the station for his mentor, Harry Whitehill. Starting in 1950, health concerns prompted him to scale back on his daily schedule. Nonetheless, he continued to provide original poetry and commentary to his audience until his death in 1979. Ted’s broadcasting career began on Vermont’s tallest mountain. A former snowcat operator for Stowe Mountain Resort, Ted was on the scene when WCAX-TV began construction on their first tower at Mount Mansfield. Ted started working for WCAX-TV in 1959. His career spanned nearly five decades and took him from the mountain to the studios and back, as he oversaw the construction of the new digital towers. Ted also served as longtime Legislative Liaison for the VAB. He passed away in 2009. Don began his broad casting career in 1949 at WTWN-AM, St. Johnsbury. Besides founding three Vermont radio stations, Don was also an officer of the VAB. On the national scene, Don served as Chairman of the Board of the National Association of Broadcasters. Don is the only Vermonter to ever win the NAB’ s Distinguished Service Award. Don left us in 2009. Dave began his broadcasting career in 1966 at Exeter, NH. After working for WBZ-TV in Boston in the 1970’s, Dave purchased WKVT-AM/FM in 1983. During his ownership, WKVT-AM was twice named VAB Station of the Year. He sold his stations in 1994 but remains active in the media industry. Dave is a former President of the VAB. Vallee was born in 1901 in Island Pond, Vermont. A teenage bandleader, he drew attention with the band he started at Yale University, “Rudy Vallee and the Connecticut Yankees.” In 1929, Vallee began hosting “The Fleischmann’s Yeast Hour” on NBC, later “The Royal Gelatin Hour.” The show was one of the two most popular programs in the country for the next ten years. His radio, stage and film career was lengthy. He worked into the early 1980’s, when he occasionally served as the opening act for the Village People. Vallee passed away in 1986. The first woman named to the VAB Hall of Fame, Jean began her broadcasting career in 1950 as Traffic Manager for WCAX-AM (now WVMT-AM). In 1954, she transferred to the same position at WCAX-TV and served Vermont’s largest television station until her retirement in 1995. Although rarely in the spotlight, Jean’s talents and work ethic are credited with helping WCAX thrive. Jean passed away in 2015. Ron retired from Vermont Public Television in 2006 after 39 years as Chief Engineer. During his tenure, Ron built the original VPT statewide broadcast transmitter system in 1967, including four transmitters, three translators and a statewide microwave system. In 1987, he completed the conversion to all new transmitters and antennas, and beginning in 2001, he converted the statewide transmitter system to digital, making VPT the first digital TV broadcaster in Vermont. Carlo began his broadcasting career at WOR-AM in New York after World War II. In 1956, he purchased WNIX-AM in Springfield and changed the call letters to WCFR-AM. During his ownership, he was able to increase the power for WCFR-AM and also put WCFR-FM on the air. He sold his stations in 1972. Broadcaster of the Year honors a broadcaster (or station) that has made a significant contribution to their state and to the broadcasting community over the past year. Rod Hill, Hall Communications Inc. The Distinguished Service Award honors those individuals who have distinguished themselves in their profession over the course of many years. Award is open to all broadcast-related occupations. The Community Service Award honors those individuals or stations that have gone above and beyond the call of duty to make their community a better place to live.